Chapman University and Anglo-American University (AAU) have partnered to offer a unique opportunity for students to earn an MBA in just 17 months in Prague. Prague is one of the world's most beautiful cities and the political, cultural and economic center of the Czech Republic. With its fascinating history, complex politics, dynamic economics and influential position in the country and the region, Prague provides a multifaceted educational experience. Delivered in an intensive weekend format, this 46-credit MBA program is taught by both Chapman faculty and AAU faculty. The program’s curriculum has an emphasis on strategy formation, execution and evaluation. All coursework is taught in English. Students who study in Prague have the opportunity to experience Central Europe’s most dynamic economy. 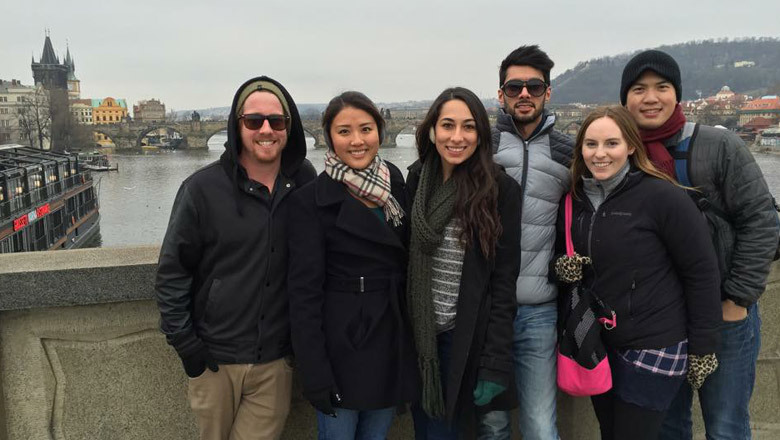 Prague is the ideal environment for MBA coursework offering students a truly global experience. For more information, you may visit the AAU Program. Applications need to be submitted by June 30th for international candidates due to visa requirements and by August 31st for those who are already located in the Czech Republic. If you submit your application and pay the admission fee by the Early Action deadline (June 30), the CZK 20,000 instructional materials fee will be waived, which represents almost 5% of the cost of the program. The tuition for the Prague MBA program amounts to CZK 450 000 (USD $20,500*), consisting of tuition CZK 430,000 and mandatory instructional materials fee CZK 20,000. The tuition per credit is CZK 9,348 (USD $424). Due to the large tuition discount on the courses in Prague, there is no financial aid available. The Chapman University financial aid office will not provide the services generally required for financial aid such as receiving and disbursing funds and verifying enrollment. Even private student loans are generally not allowed because of the services they require that Chapman University cannot provide for students studying in Prague. *At the exchange rate of CZK 21.95 / USD 1. The amount in USD may vary in accordance with the current exchange rate.